The game’s hero also stars in store, featuring on the POS designed to communicate the release in German, Austrian and Swiss retailers. 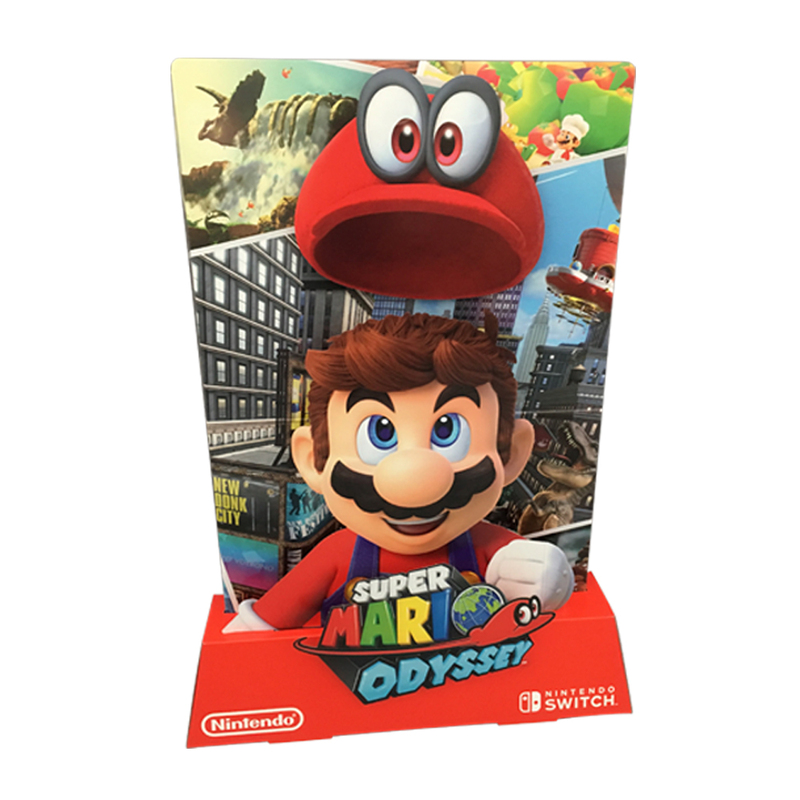 The corrugated display consists of a base with die-cut figures that set Mario at the heart of his world, against a background that includes scenes from the game to help transport shoppers into the experience with him. However, the real centrepiece of the display is Cappy, which moves up and down thanks to an integrated motor.